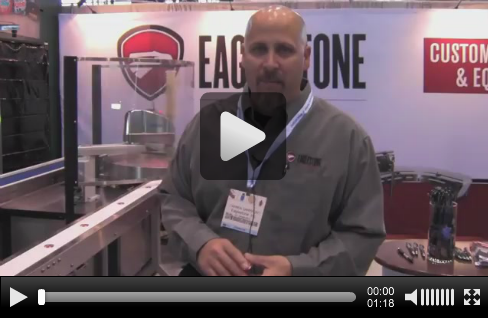 Carmen Sammauro of Eaglestone demonstrates our equipment at Pack Expo. PackWorld.com stopped by our booth at the Pack Expo this year and graciously featured our demonstration on their site. Clicking on the video above will take you to the article, where you can watch Carmen show our sanitary food packaging conveyors and advanced integrated technologies. Should you have any questions about what you see, feel free to Contact Us online or by phone.